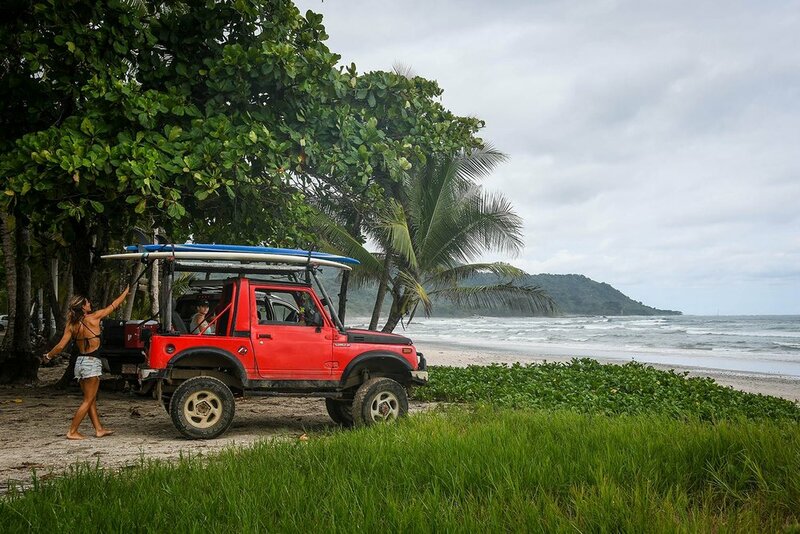 The Nicoya Peninsula is known for surf, sun and partying. If you want to avoid the Gringo-packed beaches of Tamarindo, head south to the towns of Santa Teresa and Montezuma. Here you'll find beaches that are just as beautiful with far fewer crowds. 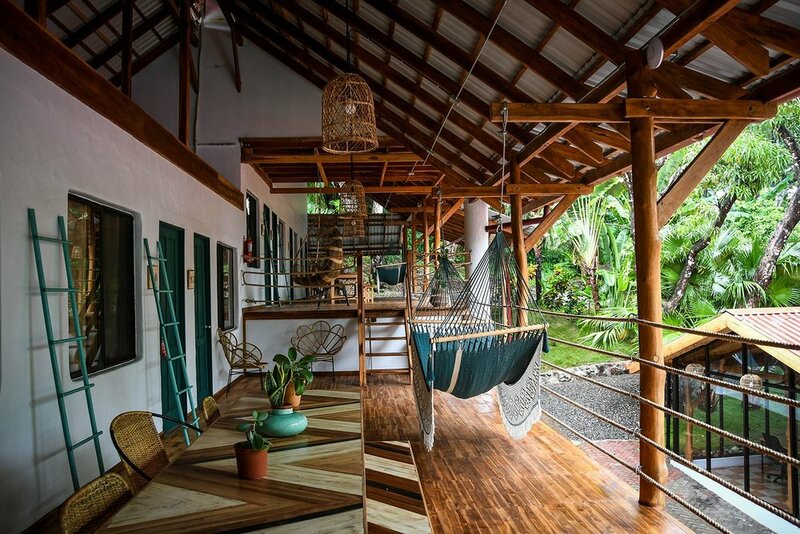 The laid-back atmosphere and beautiful sunsets will make you fall in love with this little corner of Costa Rica. There are plenty of things to do in Santa Teresa and Montezuma and we're about to break down the best spots to check out while traveling in this part of the country. One of the most popular things to do while visiting Santa Teresa is to surf, duuuude. But don’t worry if you’ve never ridden a wave and don’t have the surfer lingo down… Santa Teresa is the perfect place to learn. Costa Rica is known for some of the best surf in the world, and the Nicoya Peninsula is a popular place for seasoned pros and beginners alike to get in the water. There is no shortage of surf schools to choose from, but remember, you get what you pay for. We've taken surf lessons in the past where the instructor lined us up for every wave, pushed us and encouraged us to stand up. It was fun, yes, but after even 3 days of lessons in San Diego, we still couldn’t ride a wave on our own. Honestly, my goal is to be able to rent a board and choose waves on my own, not to stay in lessons my whole life. So in Santa Teresa, we looked for a teacher who could deliver not only a fun 2 hours of surfing, but the right techniques to actually teach us to surf on our own. After a bit of research, we found just who we were looking for! Audrey, from Costa Rica Surf and SUP, is originally from France, but has been living in Santa Teresa for several years, teaching people from all around the world to surf. She speaks French, English and Spanish and firmly believes anyone can learn to surf. She told us right away, “You’ll be riding waves by the end of our session." At first, I was skeptical and didn't really think I could accomplish this after only 2 hours. But with the simple techniques Audrey taught us on shore and the helpful tips she gave in the water, both of us were standing up and riding by ourselves! It is clear that Audrey is incredibly passionate about teaching people how to surf, and after spending 2 hours with her, you'll be inspired and standing up on your board. Trust me! Ben was a faster learner than me (which is typical with just about everything!) and was even choosing his own by the end of the lesson. We are still far from being experts, but after our class with Audrey, we both feel comfortable enough to rent a board and go on our own. Mission accomplished! And if surfing doesn't appeal to you, try Stand-Up Paddle (SUP) instead. Audrey can take you on a tour around the local rivers in Mal Pais. You can find more information about Audrey's company on her website, Costa Rica Surf and SUP. Contact her via the website, email or WhatsApp and she will get back to you quickly. 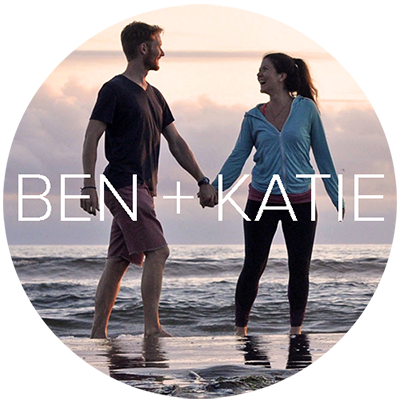 And when you do, tell her Katie & Ben from Two Wandering Soles sent you! Playa Santa Teresa: Main beach in town and largest in the area. It's nice, but could get a little busy. Playa Carmen: South of Santa Teresa, and a little more chill. Good beginner surf spot and nice spots for sun and shade. Playa Montezuma: Nice views with strong waves (not recommended to swim here), but the sand is dark and not best to lay on. Piedra Colorada: Twenty-minute walk north of Playa Montezuma is Piedra Colorada, a shady spot with colorful rocks which local artists have stacked into cairns. Playa Manzanillo: Short drive up the west coast, this beach is suppose to be one of best in the area with great views, waves and nice places to lay out. Get your downward-dog on and show up to a yoga class in Santa Teresa. There are tons around the area, and some are even free. We took a free class at the Selina Santa Teresa South Hotel and it was a great way to start the day. Walk-in yoga classes are typically between $12 to $15 USD, and if you buy a package it will cost less per class. 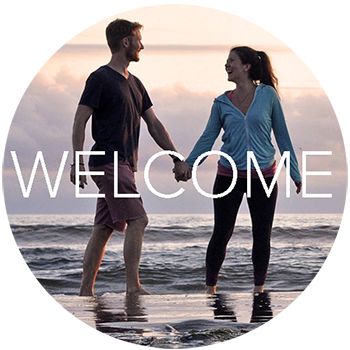 Some of the best studios and retreats in are at Florblanca Resort, Pranamar Yoga Retreat and Horizon Yoga Center. Anytime we're on a westward facing beach, we make sure to watch the sunset. Santa Teresa is a perfect spot to watch the sky turn pink to orange to purple as the sun dips beneath the waves. Just bring a sarong to sit on and a beer to sip on! 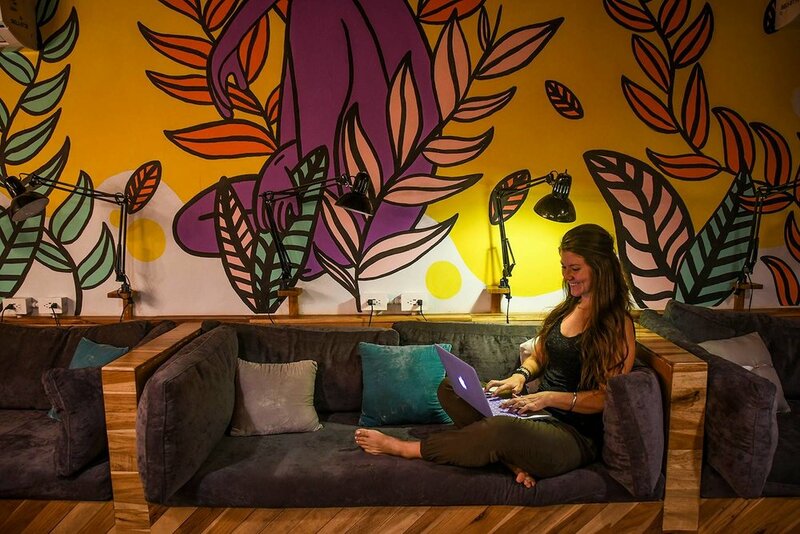 If you need good internet, the co-working space at Selina Santa Teresa South is wonderful. With strong internet speeds, comfy work chairs, coffee and A/C, this place is a digital nomad's dream. Did you know Costa Rica is a great place to teach English? Find out how to get certified to teach English abroad. Located just 17 km east of Santa Teresa lies the small town of Montezuma. If I had to describe this little village in one word, it would be “hippy”. 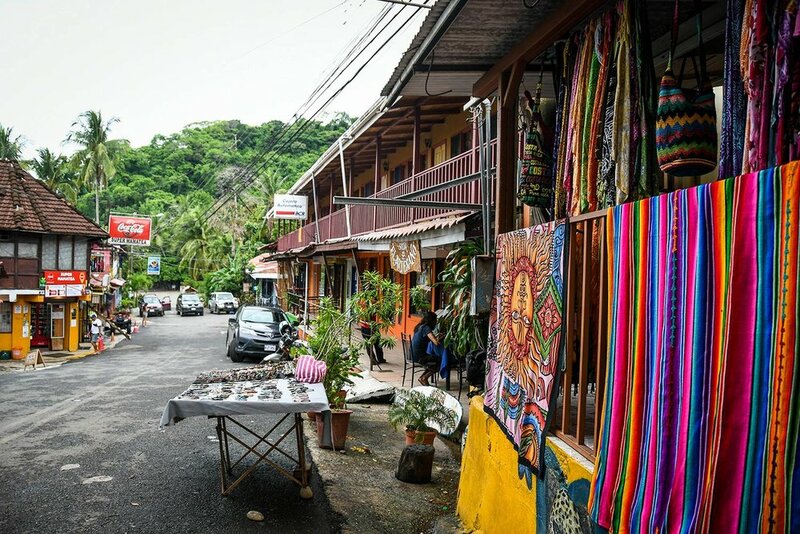 If walking down the street lined by dreadlocked gringos crystals and necklaces sounds like your kind of vibe, you might prefer staying here over Santa Teresa. But if you’re not into that scene, a day trip might be a better way to see Montezuma. 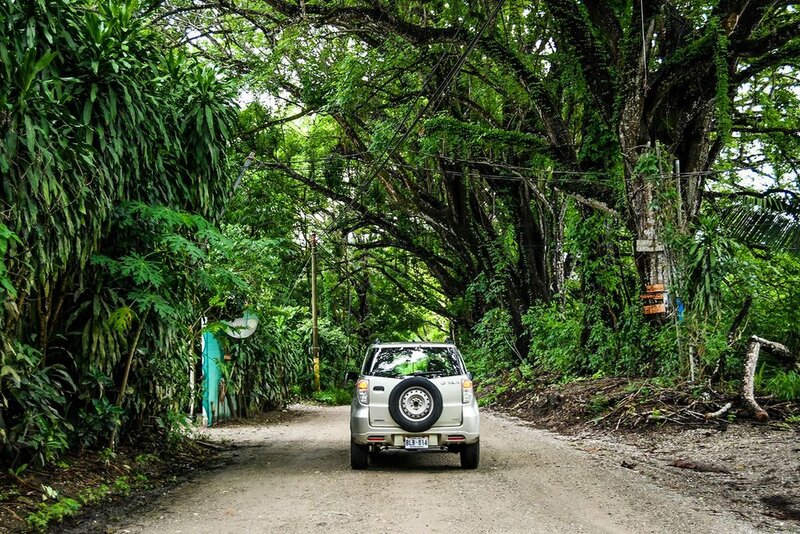 Renting a car is cheap and easy in Costa Rica, and it makes getting between these two towns quite easy. Especially if you are traveling with a young family or a baby in Costa Rica, renting a car is the way to go because it will keep the cost down on transportion. Below, we're sharing the top things to do in Montezuma. Montezuma is a fun little town that is getting more and more popular each year. This is great for the shops and the community, but the extra beach foot traffic is bad for the hatching sea turtles. The baby turtles hatch during the dry season and the Romelia Sea Turtle Conservation Program helps protect and preserve their nesting environment. There is an application process to work with the program, but you can contact them to figure out when they are planning on releasing the babies so you can watch from a distance. Remember: You should never touch a wild animal, especially a baby animal. 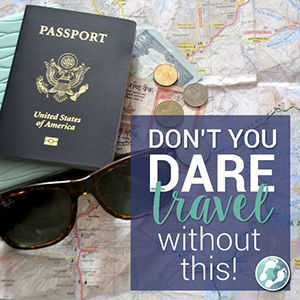 Learn more responsible travel tips for your next trip. Located at the very southern tip of the Nicoya Peninsula, Cabo Blanco was named Costa Rica's first Nature Reserve back in 1963. It's a great spot to get away from the crowds (unlike Manuel Antonio National Park) and get up close and personal with nature. The trails here are pretty rustic, but that's part of the charm of this reserve. If you're up for a hike, try the out and back beach hike within the park. It is 2 hours in and 2 hours back. We've heard there's not much to see, but it could be a good way to really get out in nature. Cost to Enter: $12 USD and is open Wednesday to Sunday 8:00 a.m. to 4:00 p.m.
Just a 25-minute drive outside of Montezuma lies a tiny island unlike any you've visited before. The Cabuya island small plot of land surrounded by water is a cemetery. When the tide is low, you can walk out to the island via the sliver of rocky land that peeks out of the water. Walk through the white arch on a small path that will lead you to a collection of graves. It's not as creepy as it sounds, trust us. I'd go as far to say it's actually pretty peaceful and interesting to visit if you have the time. The story behind this strange burial ground (or at least from what we translated from the sign) is that a man was found dead at sea and the locals did not know where to bury him, so they made a grave for him on the island. After that, locals started making their final requests to be put to rest on the island. Just be sure to check the tide times and leave before the water comes in. This isn't a place you'd want to get stranded! We heard great things about the waterfall near town, so we ventured there with high expectations. Well, nobody told us that during wet season we wouldn't even be able to get near the falls. A heavy rainfall the night before meant water was rushing down at a rate unlike anything we've ever seen. The whole area was flooded and the path was washed away in the muddy brown waters. That said, if you visit during dry season, it will be a much different scene with pools to swim in and a rope swing! How to get to the Montazuma Waterfall: There are two ways: The lower trail and the upper trail. For the lower trail, drive the road south out of Montezuma along the shore, and cross over the first bridge (which is the river of the waterfalls). You can park your car to the right after the bridge and pay 1000 CRC ($2 USD), or you can walk the 0.3 miles from town to this trailhead. From here is it an easy walk along the riverbed for about 20 minutes until you reach the lower (biggest) waterfall and swimming pools. From here, you can climb the hundreds of steps up to the middle and upper falls, or you can drive to the upper falls. To get to the upper trail, you will turn right and take the steep uphill after the first bridge. You'll drive all the way past the hanging bridges and park at the Butterfly Brewing Company (you might want a beer afterwards). There is a trailhead about 100 feet up the road to the right from the brewery. You'll walk the trail and follow it down to the fork. If you go to the right it will lead you to the middle waterfall, and to the left is the upper waterfall. One-way hike will take about 20 minutes, but this property is owned by the Canopy Tour, so you may need to pay a 1000 CRC ($2 USD) entrance fee (when we were there, no one was collecting money, but it was durning wet season. If you're a craft beer lover like us, check out the Butterfly Brewing Company (Mariposa Brewing), just a short (but steep!) drive from town. They serve a small variety of craft brews and tasty food as well. Butterfly Brewing Company is located near the upper entrance to the Montezuma Waterfall, so it's a nice place to park and chill out after exploring the falls. Tip: There's a butterfly garden right next to the brewery, so if that's up your alley, you might want to check it out! If you're looking for an affordable meal while in Montezuma, stop and one of the few sodas, or traditional restaurants, for a tasty meal. We stopped at Soda Tipica Las Palmeras, which was recommended to us by a local. We ordered the grilled fish casado to share and it was more than enough food for both of us. Oh, and the maracuya smoothie hit the spot! 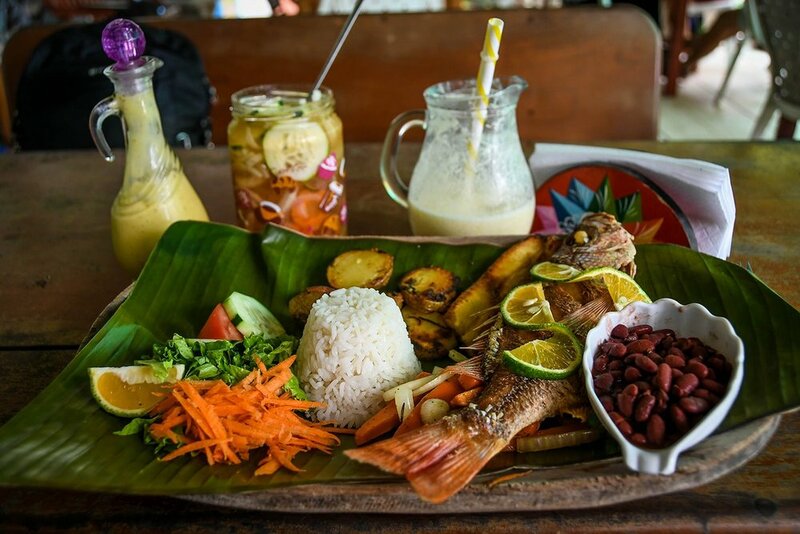 Food in this area of Costa Rica isn't exactly cheap, but you'll find the best prices at the sodas. Tip: For a nice dinner, Playa de los Artistas looks amazing! It is only open for dinner or lunch on Saturdays, so plan your visit accordingly. Santa Teresa actually has some amazing restaurants, but they are not cheap. Expect to pay the same prices you would in the US or the UK. The owners of this restaurant are super sweet, and while the food isn’t cheap, it’s a decent deal for Santa Teresa. They claim to have the best fish tacos in Santa Teresa, so I had to give them a try (one of my favorite meals!). While I didn’t try any others to compare, I can say they were damn good. We also got a ceviche, which was delicious and super fresh! 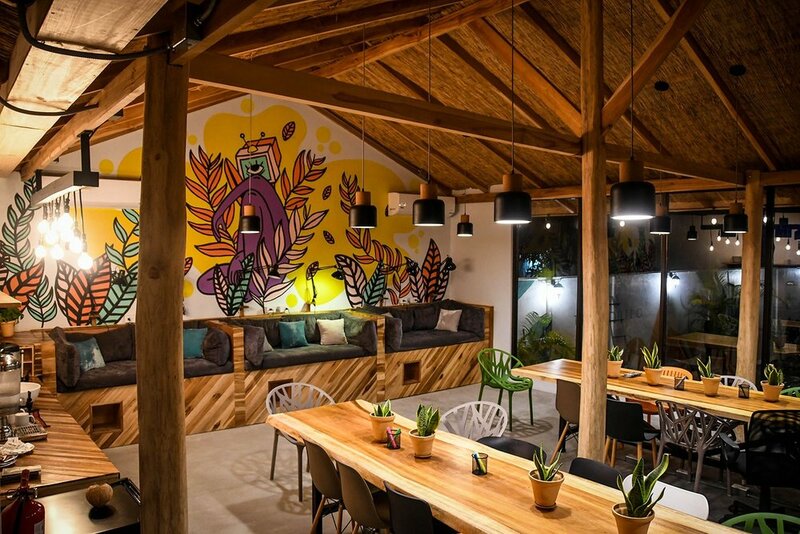 This is a gringo hot spot in town, and with a selection of healthy and splurge-worthy Western foods it’s easy to see why. Choose from wood-fired pizzas, paninis, hamburgers, wraps, pastas and more. Or relax with a coffee and pastry (it’ll be hard to choose just one). And if you’re feeling particularly indulgent, try their maracuya (passionfruit) cheesecake! There are few local resturants ("sodas") that serve pretty cheap breakfasts and lunches. Soda La Amistad had a pretty good casado lunch with chick or fish, rice, bean, plantins and a small salad for aroudn $5 USD. Probably the cheapest meals we had in the area. Tiny place that smelled great everytime we walked by. So good that we eventually had to stop! The tacos looked fresh and the poke bowl was delicious. It can get a little pricy, but won't break the bank like some of other restaurants nearby. The roads on the Nicoya Peninsula were some of the worst we encountered in all of Costa Rica. If you are exploring Costa Rica in a rental car, be sure to drive cautiously and avoid potholes. We ended up being just fine because we took it slow, but it was easy to see why most of the town’s residents get around on ATVs. Going to Costa Rica soon? Save this on Pinterest! 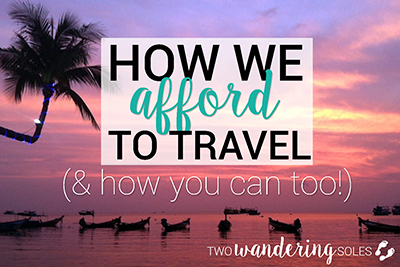 Are you planning a trip to Costa Rica? What questions do you have? Have you been to the Nicoya Peninsula? What was your favorite part? We'd love to hear from you in the comments below!